Got a great idea for a game? We're giving out awesome prizes for the team that can come up with the best video game! HackMerced is a 36-hour programming competition that brings together students from all over the US to collaborate program and compete for prizes as well as learn from workshops, group activities and mentorship. Individuals over the age of 18 attending college or Students from the ages 14 - 18 who have signed a parental consent waiver. 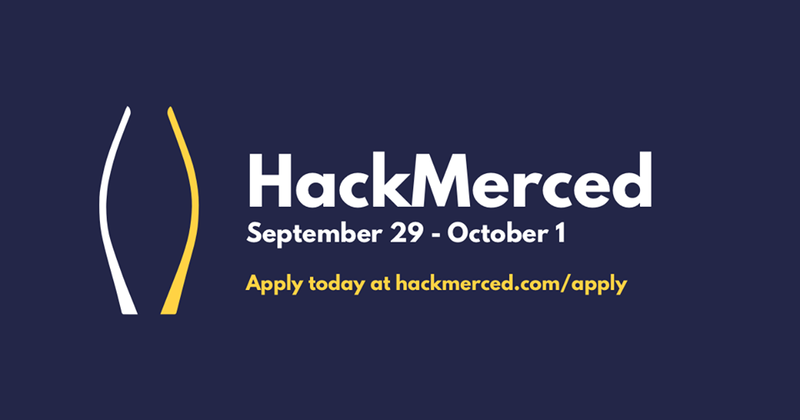 You must have been signed up to HackMerced by September 22, 2017. If you are a student of UC Merced, you may still apply up until the event. Your product will be judged based on 7 concepts: demo, design, complexity, viability, pitch, uniqueness, and utility.